Welcome to the fourth part of the #CCAsEastCoastVoyage series and part two of The Most Magical Place on PEI. Come back next week for the not-to-be-missed “Let’s Take A Selfie With That Roadside Attraction!” post. You know what’s especially awesome about today’s post? One – I wrote a guest post on my favorite book blog, Hardcovers & Heroines, on all things Anne of Green Gables and Prince Edward Island that went live today. I’d absolutely love it if you had a moment to check it out and leave some love. Two – The minute after I hit publish on this post, I’m on my way back to Prince Edward Island and its most magical place – beautiful Cavendish. Where was I? Oh right. When I left off yesterday, I shared some of my favorite pictures from our morning at the Green Gables house. 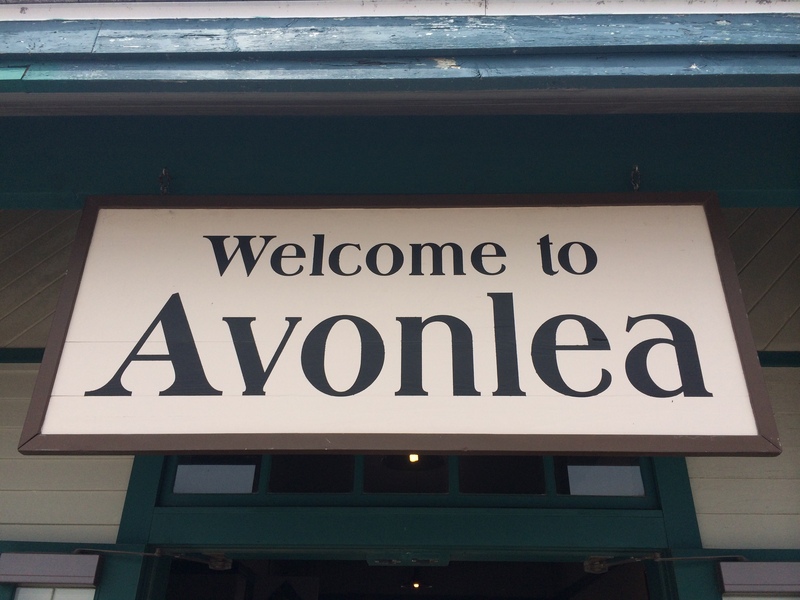 Afterwards, we were headed down the street (literally) to Avonlea Village. Let me start by saying, among the many Anne of Green Gables attractions in Cavendish – there are a dozen more attractions that one might call “tourist traps” with absolutely nothing to do with Anne. But we were on an Anne mission, that led us to the quaint but perfect attraction dedicated to transforming you back in time to 1908. From the minute you purchase your ticket and arrive via the train station (just as Anne herself did) you’re literally transformed into the world of Anne. All of the characters are there – from chatty Anne, to loyal Diana, to the ever charming and handsome Gilbert Blythe. Who I may add – will momentarily pretend not to understand how an iPhone camera works (1908 remember) and snap a selfie of himself for you to find later. Smooth Gil, smooth. 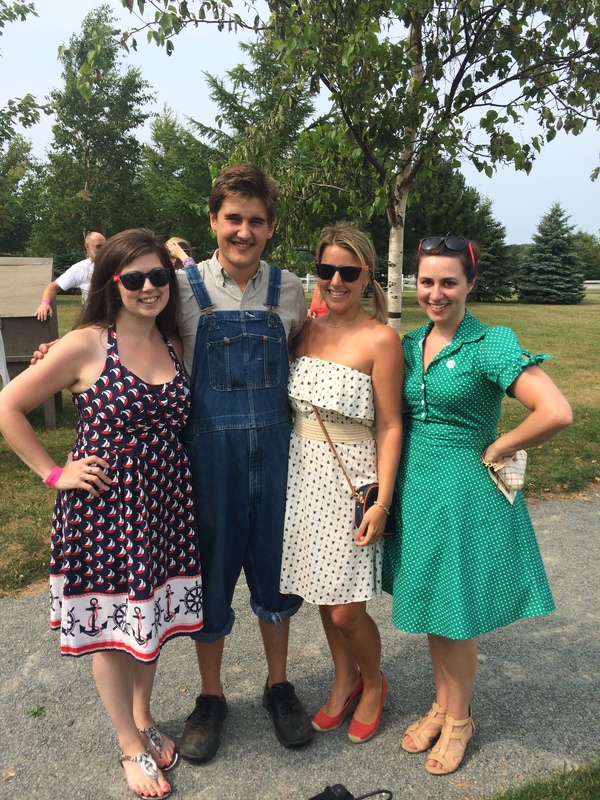 And then there’s Tommy – who proposed to Colleen within minutes of meeting her. We really hope she loves his pig farm as much as he does. Not only did we take in a lesson on prohibition from Miss Stacey and have tea with Anne and Diana, but we also learned how to churn butter, got pulled into a pie eating contest (Colleen won!) and had way too much fun in the costume house. 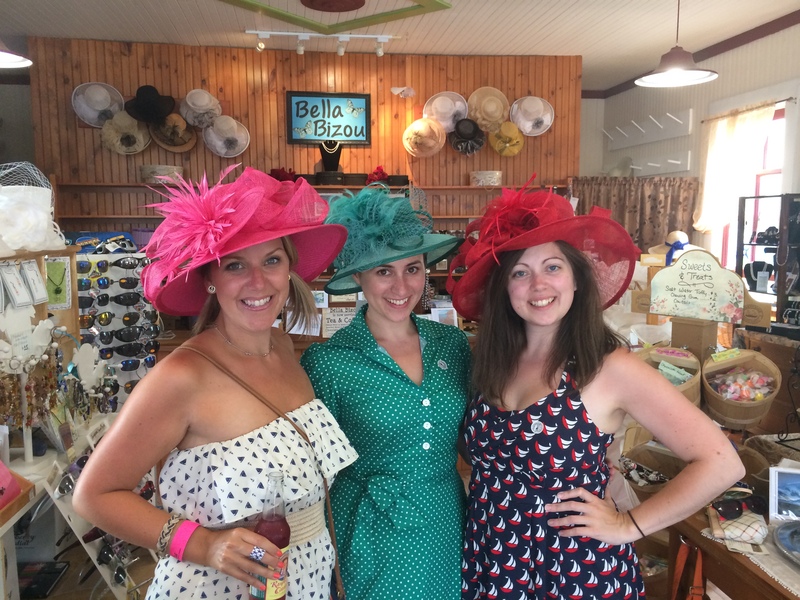 We also got to try on the most amazing hats in the gift shop that took all of our restraint not to buy. 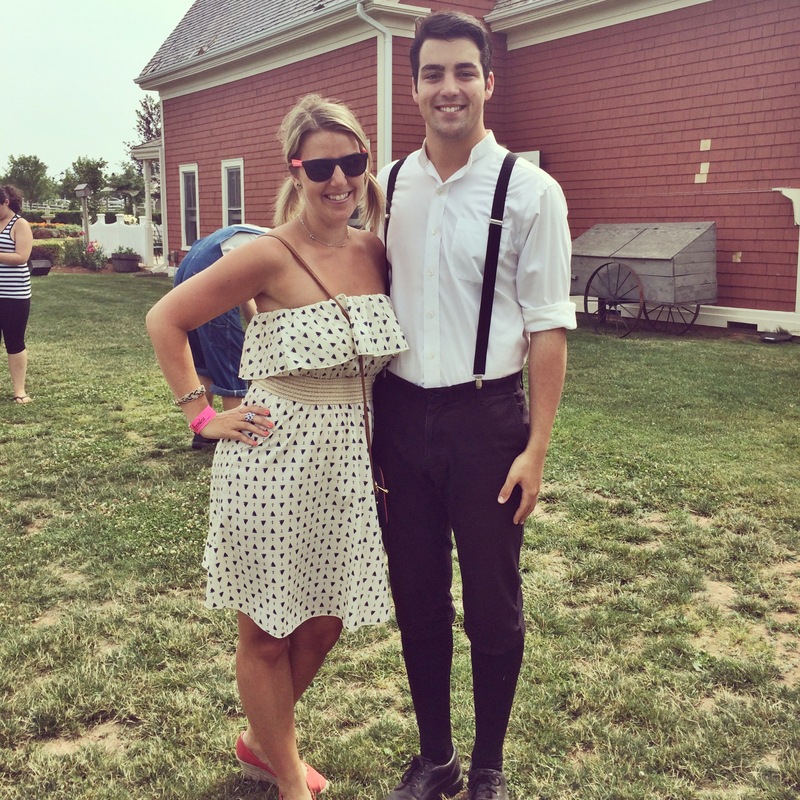 To say Avonlea Village exceeded our expectations (especially mine as the non-tourist) would be an understatement. I would highly recommend a day there to anyone – the actors were incredible and so interactive, the live shows were stage worthy, and the coordinated demonstrations and audience participation events were super fun. So how does one end the perfect day in the most magical place on PEI? As always, thank you for the magic Prince Edward Island. I can’t wait to spend the weekend with you again.